I have really been trying to stay goal oriented for the new year. I went to a spin class today, had a salad for dinner yesterday and I accidentally ordered a new jacket over lunch….oops…in my defence it was on sale! Anyhow, it is very tempting to sink back into the old habits and feel the societal pressure to ‘keep up with the Jones’. 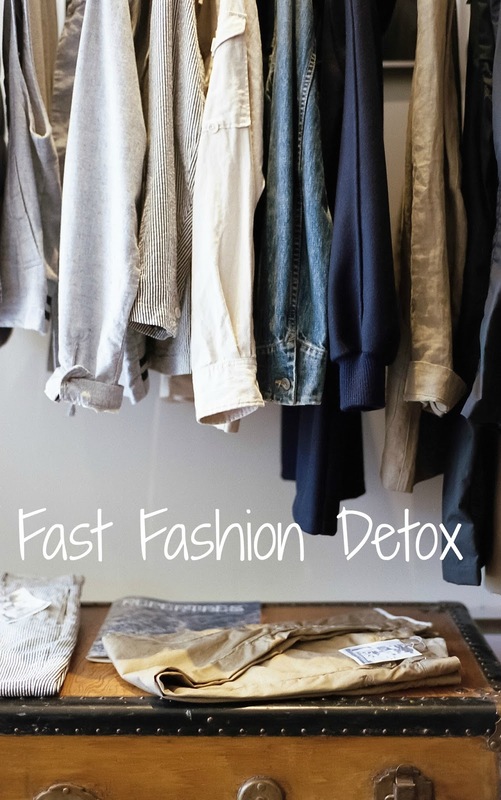 Fast Fashion is something that I want to avoid for the new year. Fast fashion items are mass produced clothing that are cheaply made using cheap materials. They do not last and their production not only contributes to polluting the environment, but it also has a short life span and ends up in a landfill. Not convinced? Check out Eco Watch for 7 clearly outlined reasons. I have developed a slight addiction to selling things. I feel guilt free if I sell something and then replace it with something else, so it is a win-win for all parties involved.There are quite a few buy and sell Facebook groups but you have to have the patience and the time. I usually try to consign my items in Kelowna because they are willing to take more of my items. Vancouver consignment stores tend to be quite strict. Boxing day sales have been killing me, the deals are just so good and I am obsessed with not paying full price. I really had to take a step back and rationalize with myself. I try to ask myself questions, where are the holes in my wardrobe, is this item replacing an item I already have, and is there something I would rather spend this money on. Weigh your options, take a picture of you wearing the item, see if you can put it on hold, or find out what the return policy is. I find I often need to take a step back, if I really really want the item and I can’t stop thinking about it, then I should purchase it. My mom does this all the time and I always thought it was overkill, but it works. She never wears anything made of polyester or acrylic, she looks for items that use thick high-quality fabrics and she stays away from items that needed to be dry-cleaned unless they do not have direct contact with skin. Items such as blazers or coats don’t need to be dry-cleaned as often as blouses or trousers. Her shopping rules actually make sense and they are a good guideline for making better purchasing decisions. I find quite frequently I will see over-priced items made with cheap fabrics. They usually end up only looking nice for one to two washes, but after they loose their shape, fade or shrink. Good quality material tend to last longer. I try stick to fabrics I know I can trust, silk, wool, cotton, linen and cashmere are all good choices, just be careful with washing them. My friends are a terrible influence when it comes to shopping. They are always encouraging me to go shopping to get something new for an event, or to swing by the mall with them just to see what is there. There are so many other things that are more fulfilling and a better use of time. I have to really work on my self talk and acknowledging that I really don’t need anything and I can sit this trip to the mall out. Hopefully these tips help you spend less and love the items that you do end up with in your closet. For more information on cutting back, check out my blog post on creating a capsule wardrobe for work.